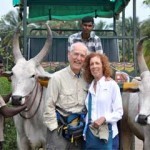 Well, in followup to our trip…..I can’t thank you enough….As you know I had several ideas about what to see on our south India trip, many destinations off the beaten path and not typical tour scenarios…You always made things easy with your can do attitude, and were always kind and patient with my attention to details. Everything worked out beautifully…This being our third time to India, we were so very impressed regarding the quality of every aspect of the local service…from the guides, to the food, to the hotels…the service was beyond expectation, as we never had a glitch…from being met at he airport in Trivandrum, meeting our driver who was with us for the whole trip, until the person who made sure we were taken care of at Chennai, where we returned home from. From our perspective, everything went efficiently and smoothly. One great benefit, was our driver, Thankaray, who was easy going, upbeat, and engaging with all of us, and made us feel that we would always be taken care of on a daily basis…As he was always there, it provided security and consistency for us….He joined us for lunch and dinner daily, taking us to local Tamil restaurants, which were to our liking ( more where the locals would eat..), and was a high point for the trip. No food that outstanding back home! 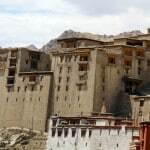 We set out for this largely road trip tour, and the pace was relentless, but the caliber of the hotels, and opportunities to have down time were still incorporated. We have only good reports to give, and certainly, when I travel again to that part of the world, I will call you first. Mel Friedman, D.O.Mel Friedman, D.O. 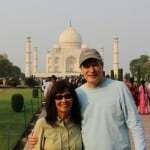 My family and I just returned from a vacation to India as organized by you, Geringer Global Travel. I must tell you that I am so impressed with your ability to have created the perfect trip for us! From the very beginning, you were delightful to work with. You listened to my interests and needs, made suggestions, and always showed respect for what I was hoping to get from the trip. You considered our interests, the varied ages of my family members, and planned a trip that had something for everyone. 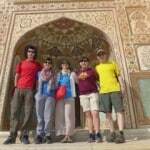 You included variety in terms of touring, history, activity, and adventure. You were always responsive to my calls and emails, even emailing us in India to see how things were going! I asked questions right up to the day we left, and you never missed responding fully and with enthusiasm. It was the most incredibly organized, efficient, attentive, and well-planned trip we have ever taken! Our guides were phenomenal. They were professional, patient to answer all of our questions, and receptive to our requests. Our driver wins the award for most outstanding service. 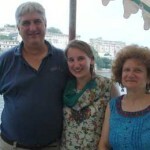 He was also very professional, friendly, and quickly became part of our family. He MADE the trip feel comfortable, safe, and quite special for us, and wow…what a great driver! 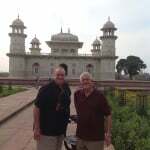 I also received a call from your India contact person every few days, via the guides cell phone, so he could personally check in with me to be sure we were all set and happy. I can’t wait to tell everyone I know about the amazing service you provided. I would be more than glad to recommend you if ever needed. 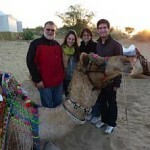 Every detail was considered with such a variety of experiences, fabulous lodging, and so many amazing memories. My family and I thank you for making this a trip of a lifetime. 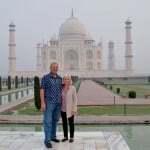 Seeing India was truly incredible, thanks to you and your efforts on our behalf! I have been so fortunate to have had the opportunity to travel the world. 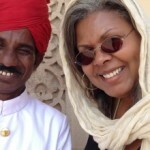 I wish to express to you that my trip to India was by far by my favorite holiday, ever. My husband wasn’t able to accompany me on my holiday. I wanted to find a travel agent who could provide me with a feeling of security and excellent hotels because I was traveling alone. You certainly did this. The entire trip was impeccable due to your planning. There was not one glitch. 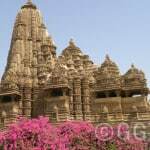 The tour guide and drivers were so lovely and as expressed before, India is a passionate country filled with colorful people and customs. All of the guides were erudite and courteous. The drivers had an impeccable way of dealing with traffic that never stops. All of my personal guides and were always prompt and maintained good manners throughout each day. I would definitely use your services again, sometime in the future. 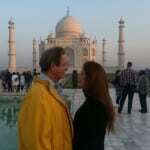 As you know, visiting the Taj Mahal was a lifelong dream for me. 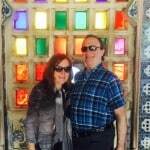 Your company provided outstanding services to us, especially with regard to the adjustments made when I fell ill. We especially appreciated your planning and preparation, but we also think the punctuality of the travel providers, the overall knowledge of guides, and quality of the lodging and tours are worthy of praise. Now I want to go back so I can see more. Again, we thank you for making the arrangements, which we found to be superb. We will continue to recommend your company to others. 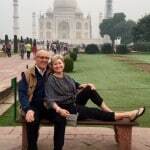 Richard and Judy C.Richard and Judy C.
Susan possess two very important traits of a travel agent. She listens and she executes. She asked good questions about my expectations as to site seeing and hotels. 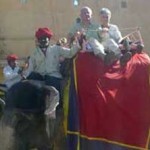 She is well respected with the local India ground operators and guides, which means her clients get treated very well. 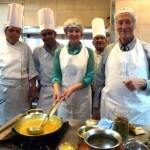 I highly recommend Susan and will use her again on my next Passage to India. 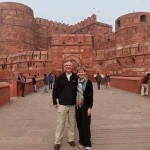 We just got back from a three-week whirlwind private tour of India and Nepal. 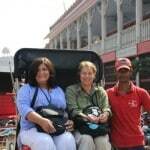 Susan of Geringer Global Travel was there for us before, during and after the trip. 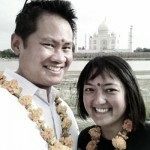 She patiently answered all our questions and calmed our pre-India jitters. 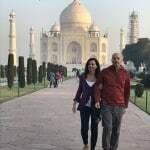 She is a champion in the India travel field. We felt cared for and safe EVERY step of the way. 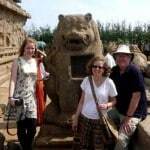 She worked with us intensively to hammer out our itinerary to our exact specifications. 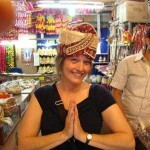 Susan is very knowledgeable about India and we are so happy we chose her for our India trip. 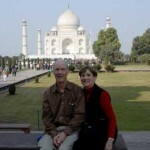 If we go to India again, you can be sure we’ll choose Susan and Geringer Global Travel. 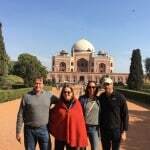 Thanks Susan for the trip of a lifetime. Ritamarie L. & Angela O.
Ritamarie L. & Angela O.Ritamarie L. & Angela O. Your suggestions were all excellent! 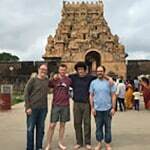 Thank you so much for your assistance in putting together our trip to India. Your suggestions on hotels, cities to visit, and sights to see were all excellent. 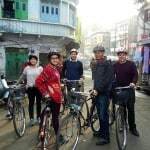 Our three-week trip was well paced, and had the right amount of hard-core sight-seeing and more relaxed activities that gave us a feel for the country. 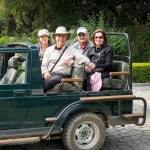 The services provided by your in-country agent (drivers, tour guides, day-to-day care) were outstanding — we felt very comfortable the entire trip. 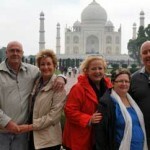 As a result we came home with a real appreciation for India and a desire to return some day.